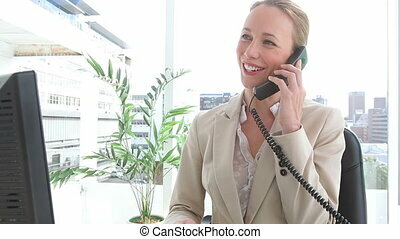 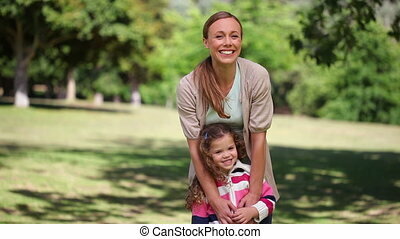 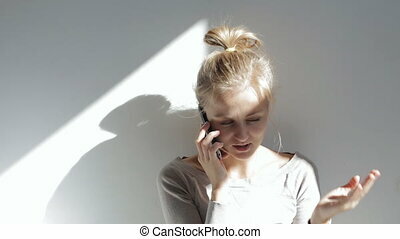 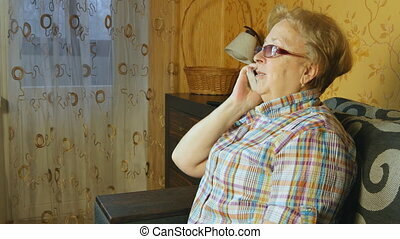 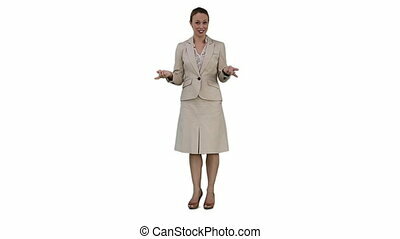 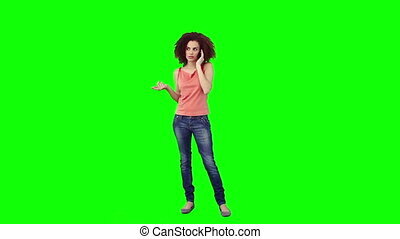 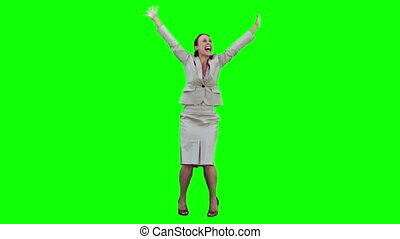 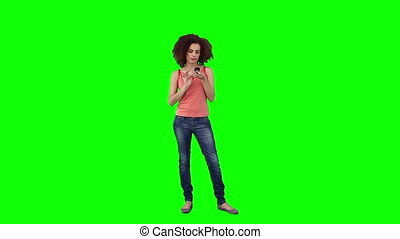 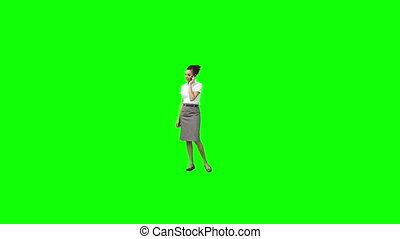 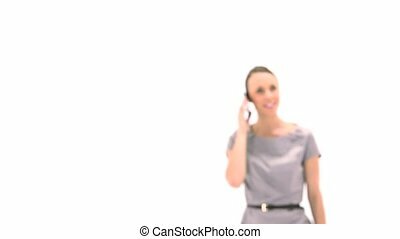 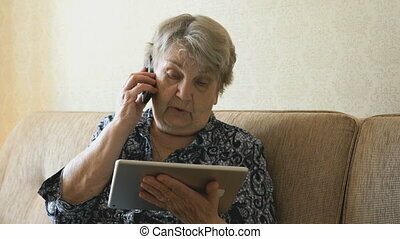 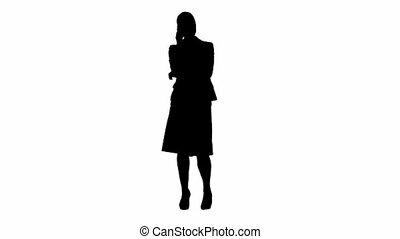 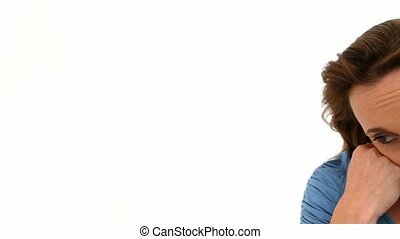 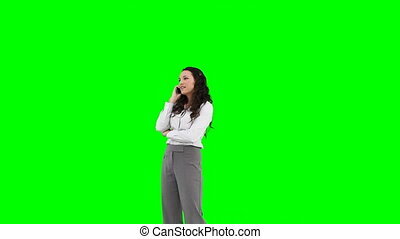 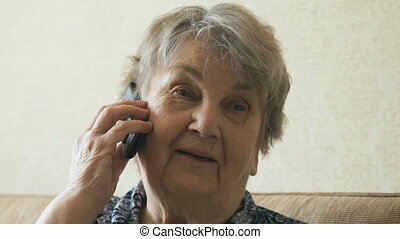 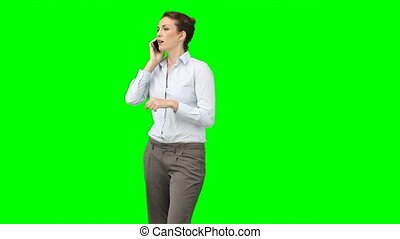 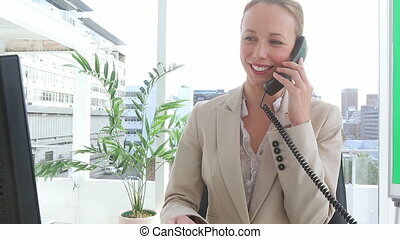 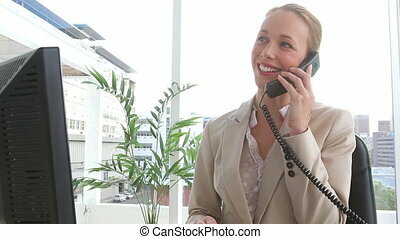 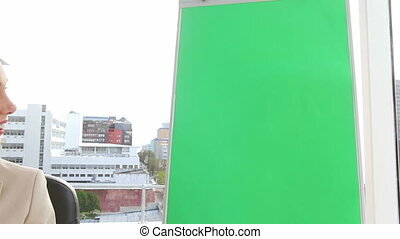 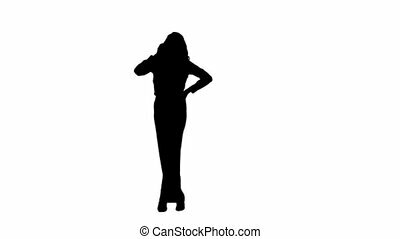 A happy woman is talking on her mobile phone against a green background. 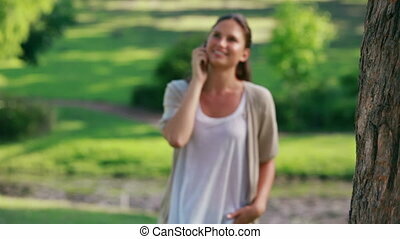 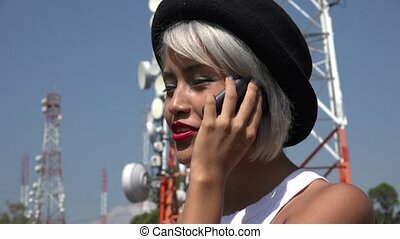 young woman talking on her mobile phone in the park. 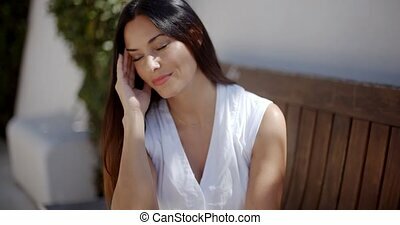 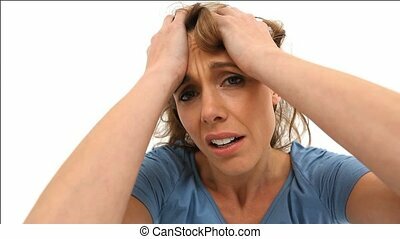 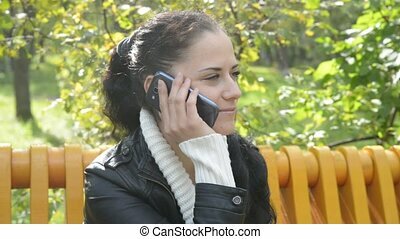 Beautiful young woman talking on mobile phone sitting on a Park bench. 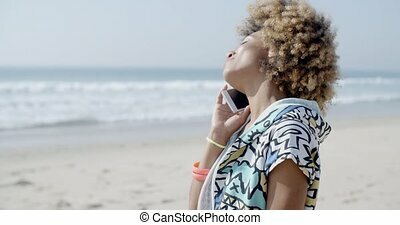 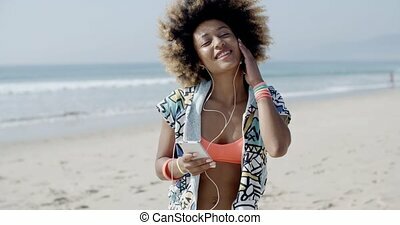 Happy young woman talking on her mobile phone listening to the conversation with a smile of pleasure as she sits on a wooden park or garden bench.